Call: a short sharp whistle, chee, repeated two or three times. Bruun, B., Singer, A., Campbell, B., Svensson, L., & Delin, H. (1979). The Larousse guide to birds of Britain and Europe. New York, NY: Larousse. Harrison, C. J. O., & Fisher, C. (1982). An atlas of the birds of the western Palaearctic. Princeton, NJ: Princeton University Press. Hockey, P. A. R. (1997). 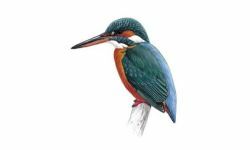 Africa’s kingfishers: A guide to their identification. Africa — Birds & Birding, 2(1), 61-65. Reza, A. H. M. A., Feeroz, M. M., Islam, M. A., & Kabir, M. M. (2003). 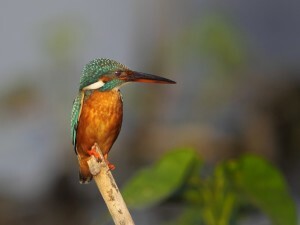 Status and density of kingfishers (family: Alcedinidae, Haleyonidae and Cerylidae) in the Sundarbans mangrove forest, Bangladesh. Bangladesh Journal of Life Science, 15(1), 55-60. Wang, L. K., Chan, M., Chan, Y. M., Tan, G. C., & Wee, Y. C. (2009). Pellet casting by non-raptorial birds of Singapore. Nature in Singapore, 2, 97-106. Alcedo atthis hispidoides Sulawesi to Moluccas, New Guinea and Bismarck Arch.